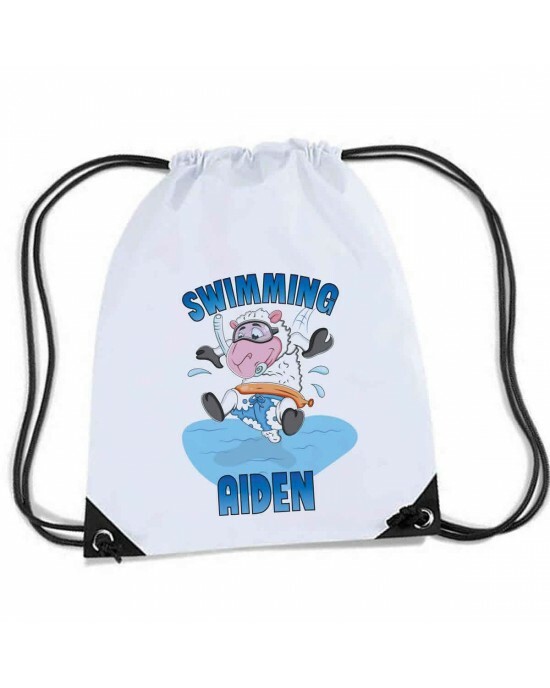 Fun Cartoon sheep swimming / diving Design on the bag, Personalised Sports Nylon Draw String Gym Sack Pack & Rope Bag. A great fun design on this bag, showing a cartoon sheep diving into the water. Personalised bag so your kids will not lose there gear.